WHAT IS TARGET POLE? street lighting? High mast pole for square lighting? Power transmission pole? or other applications..
WHAT IS THE POLE PARAMETERS? plate material? thickness? Cross section? length? small end diameter / big end diameter ? WHAT SHAPE POLE? conic or polygonal ? OK. After We are clear with many such questions. maybe many customers stuck at pole processing. WHY I CAN’T MAKE BIG DIAMETER POLE? WHY I CAN’T MAKE VARIOUS CONIC POLE? We will have to go to LIGHT POLE TOOLING and PRODUCTION PROCESSING. First we shall know that for conic pole and octagonal pole, press brake tooling is different. Normally Octagonal pole is with 86 degree top tool and 88 degree bottom v block. 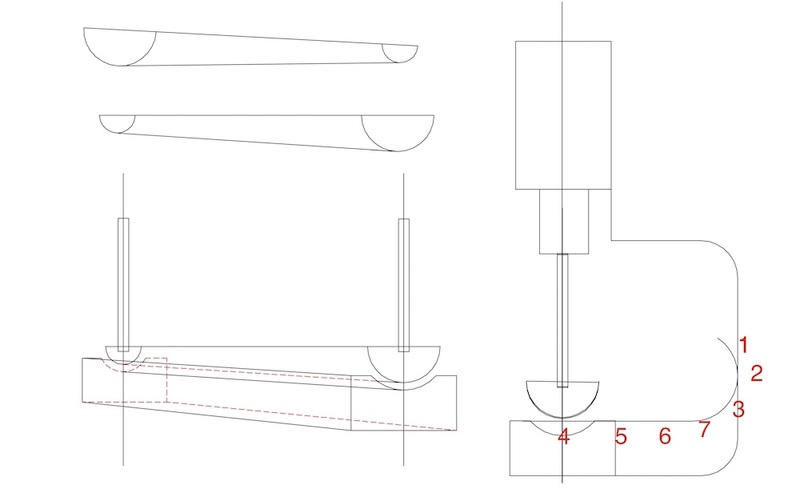 The tool cross section is same for whole tool length. While Conic pole is with conic top / bottom (male/female) tool. Tooling is with slope, one side small and another side big diameter. 1) save material. 0.5mx3.14 = 1.57m, plate width will be wider than 1.6m if we remove edge. the pole will be one side smaller. when we cut it into trapezoid, the plate will not be use effective. 2) balance the seam welding stress. 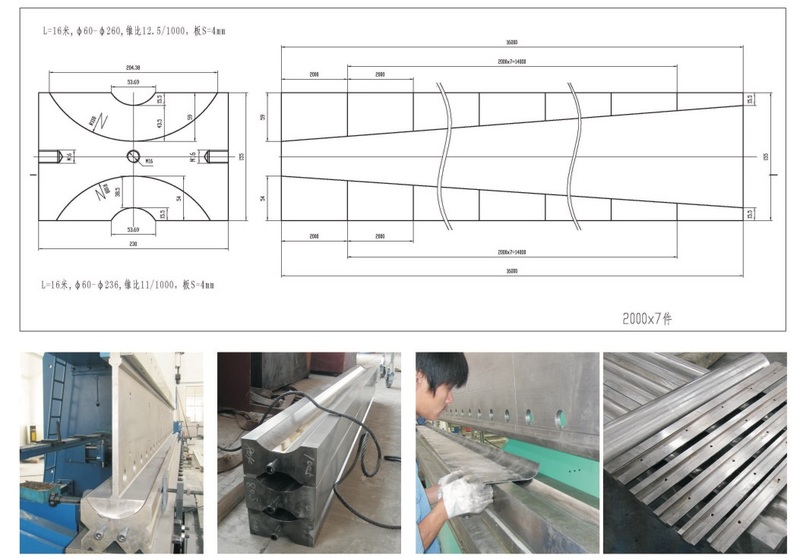 for Dia.500mm x 12m pole with one welding seam, the welding seam will make pole curved because of the welding stress. such big size pole will be some difficult to straight it. if we make two welding seam, two side welding seam will be balanced. WHILE, SOME customer’s would like insist one piece plate big diameter pole. the diameter also can be limited by Tandem hydraulic press brake throat depth. normally we push pole plate forward or backward to finish bending. If throat depth is not enough, we can turn the pole left/right side. It looks that we solve the problem, but we can find that it will take a long time for operator to treat it. But this method is difficult for conic pole forming. because male/female tooling is also in conic. We can’t exchange tooling. The big diameter pole will be limited by the throat depth of tandem press brake machine.